If you are an Admitted Student, please go to our Admitted Student Portal to schedule your visit. A campus visit is an integral part of the law school application process. 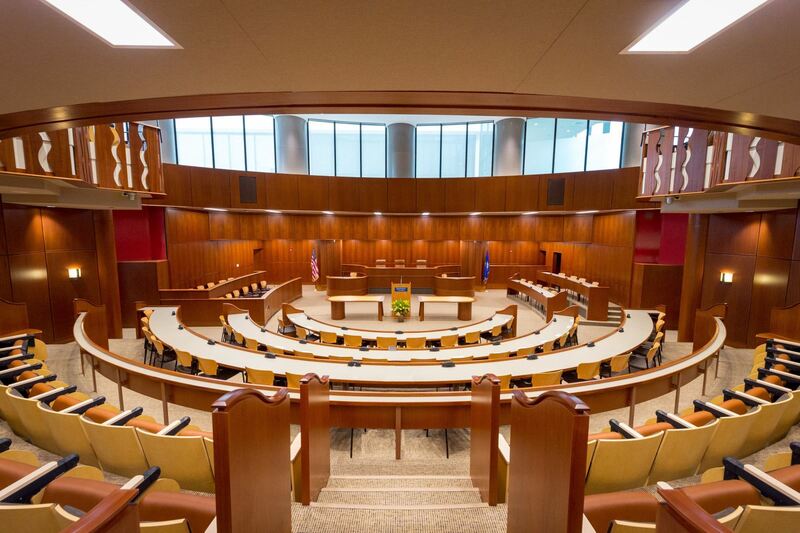 We would love to welcome you to campus and introduce you to all Quinnipiac University School of Law has to offer. Join us for an individual visit where a current student will take you on a tour of our state-of-the-art facility and you can sit in on a first year law school class. Our Admissions staff will also be available to answer any questions you may have. We encourage you to come during the academic year* and sit in on a 1L Class or come to one of our on-campus events; however, we do offer tours of our state-of-the-art law center if you cannot make it at another time. Our Admissions staff will be available to answer any questions you may have after your tour. *Please note, our class visits stop before the end of the academic year as our students are beginning to review and prepare for finals. Tours only begin on November 14th and end on January 15th. Tour and Class Visits will begin again on January 16th. If you are unable to visit Quinnipiac but would like more information, we would be happy to mail you a packet of our latest materials.